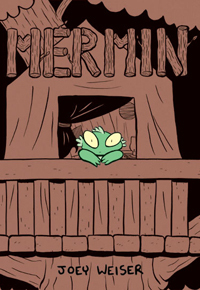 • Have you seen Joey Weiser’s fun new fishboy-out-of-water series Mermin? 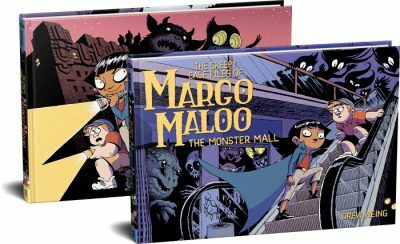 I’ll be sharing a table with Joey at SPX, where he’ll be debuting issue 3, so I urge you to come by and check out all the Toriyama-esque shenanigans! • I just heard the actual recording from that Dr. Laura “n-word” episode. Man, that lady just loved saying “the n-word.” She was practically rolling it around on her tongue. What a horrible person. • Also just heard a recording of an anti-“ground zero mosque” radio ad that seriously said: “On September 11th, they declared war against us. And to celebrate that murder of 3,000 Americans, they want to build a monstrous 13-story mosque at Ground Zero. This ground is sacred.” Ugh, ugh, ugh. Congrats on all the great reviews on “Set to Sea.” Much deserved. I’ve been recommending the everybody. This comment is directed more at yesterday’s page, but I missed my chance so you’ll just have to take it today. The crosshatch work you do on night skies is a bit reminiscent of John Severin’s take on the same subject matter. In other words, very nice, totally classic.